"You get to know people by listening to them." "I usually don't get listened to..."
On Wednesday November 29th, 20 student leaders and community leaders from UMBC's Choice Program came to the WombWork Black Box Theatre to participate in a virtues training and discussion about talking about race. 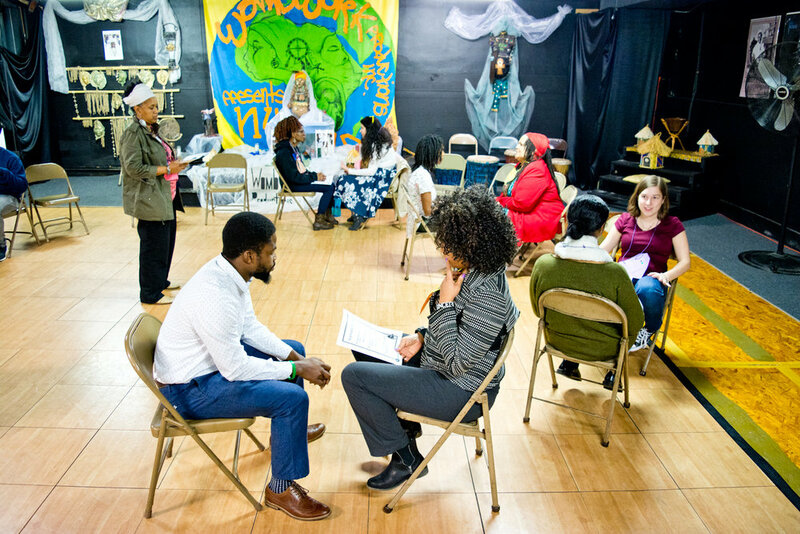 Facilitated by Mama Kay and Mama Rashida, the event opened up with participants introducing themselves and the virtue that most resonated with them at that moment in their lives. The group then paired off and spent five minutes actively listening to each other share both their darkest moment in their lives and their most shining moment in their lives. Other activities involved sharing personal viewpoints, perceptions, and opinions about race within small groups. 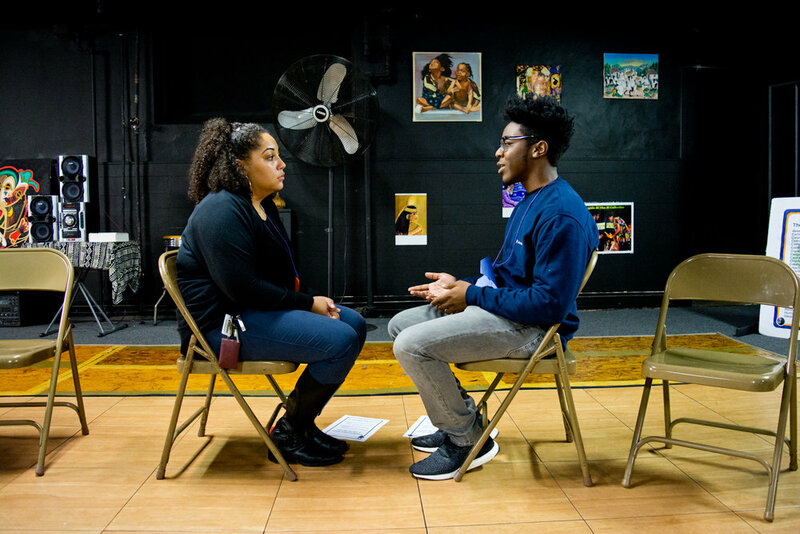 The power of this workshop came from student leaders finding common ground to connect with one another's stories and recognize that they are not alone despite their differences. At the end of the event, students and community leaders shared in a meal catered by the local Agape House Catering.